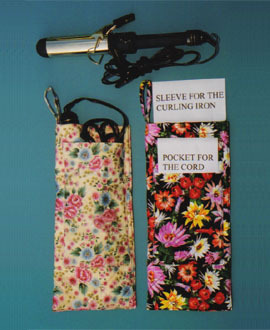 Place your hot curling iron in this quilted bag and you will not burn anything in your suitcase when you are traveling. No need to wait until the curling iron cools off before packing. There is a quilted pocket for the iron and another for the cord. This makes a wonderful gift.